A few friends have been to this state park and had glowing reports so this fall on my way south I decided to stop there. It’s not a large area but has some really nice views and scenery. It reminds me of what a cross between Arches NP or some of the other UT NPs and City of Rocks SP in NM might be like. Many of the rocks have the coloring of the UT parks, but the size and the fact that the campsites are located in in among the rocks reminds me of the NM state park. 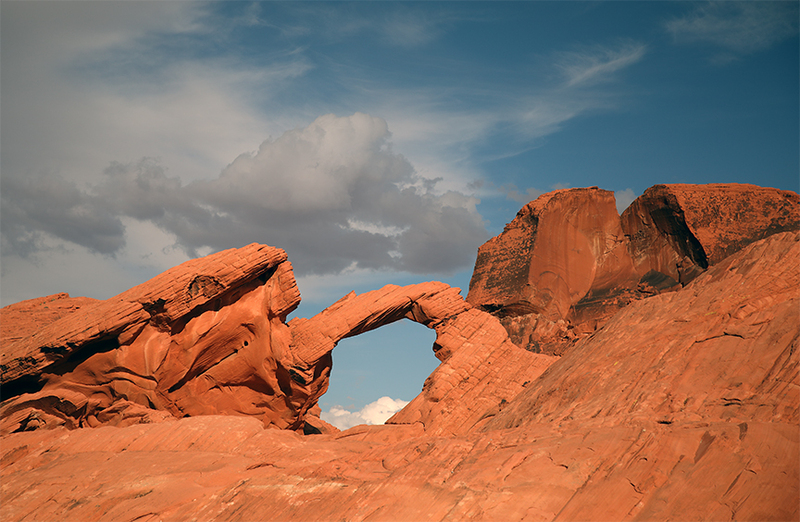 There are plenty of places to hike and lots of very little “arches” to view. Maybe someday some of those mini-arches will be bigger? There are some Desert Bighorn Sheep there, rather regal looking the way their horns are set on.